CEW Insiders’ Choice Beauty Boxes! 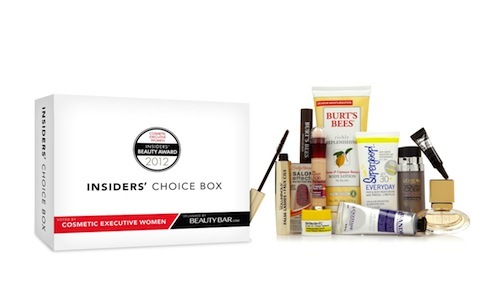 This is pretty exciting: Cosmetic Executive Women (CEW) and BeautyBar.com have teamed up to create The Insiders’ Choice Beauty Box, which features 11 products selected as the industry’s most innovative picks during the 18th Annual CEW Beauty Insiders’ Choice Awards. Beginning on July 16 and for a limed time only, the boxes will be available only at BeautyBar.com/CEW. The box is valued at $109, but you can get your own for $25. Now the hardest part is deciding if you’re gonna buy it as a gift or keep it for yourself ;). · Heidi Klum Shine Eau De Toilette, 0.5 oz. · L’Occitane Lavender Hand Cream-1 oz. I had my eyes on this place for a while. Every time I would see the paper covering over the windows, I wondered how many more days until it opened up. And then one day while walking by, we saw that the paper covering was gone, and the place was open—the place was Matt & Meera. My South Asian heritage clearly had its biases, as I looked at the name and thought Meera…I wonder what kind of food they will serve?! As its name suggests, it’s a indo-fusion restaurant. Just opened in Hoboken, New Jersey on June 23rd, and is a comfortable home feeling with a contemporary twist. The tapas style plating allows us to try most of the menu. Since they are a new establishment, it was evident that they were trying to get situated. The wait time was a little much, which with time should get better. 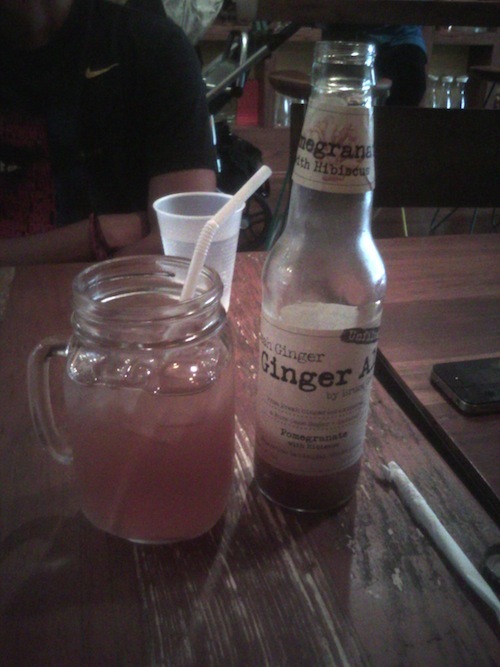 While waiting, we ordered a pomegranate ginger ale and an espresso milk shake. Both were amazing, but the espresso milk shake was surprisingly delicious, since it was made in-house. For starters we ordered masala chips, samosa trio, and vermicelli crusted crispy prawns. 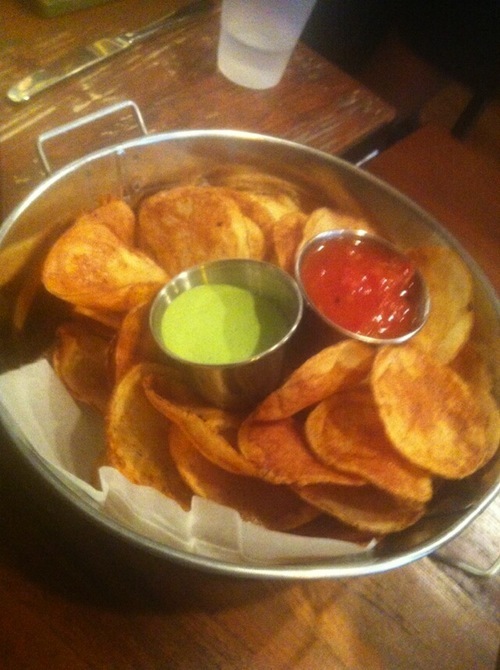 The masala chips were the perfect blend of masala, and not too overpowering, which happens in most cases when it comes to flavored chips. 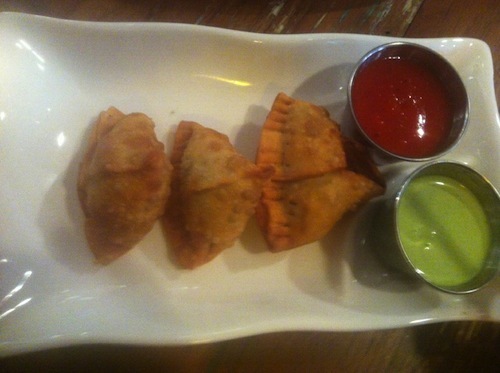 The samosa trio was three samosas that were made of potatoes, vegetables, and lamb, respectively. Since I love a meat samosa, the flavors were very balanced in the meat and potato samosas, while the vegetable samosa was a little too vegetable heavy for my taste, but still yummy. 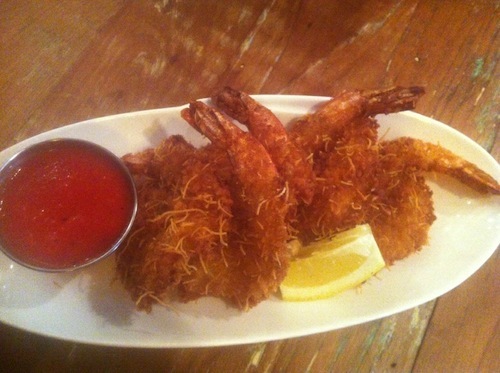 The vermicelli crusted crispy prawns are definitely a staple of the place. Usually when we think vermicelli, it’s served as a desert, so the innovative coating idea for the shrimp was a tasty idea. 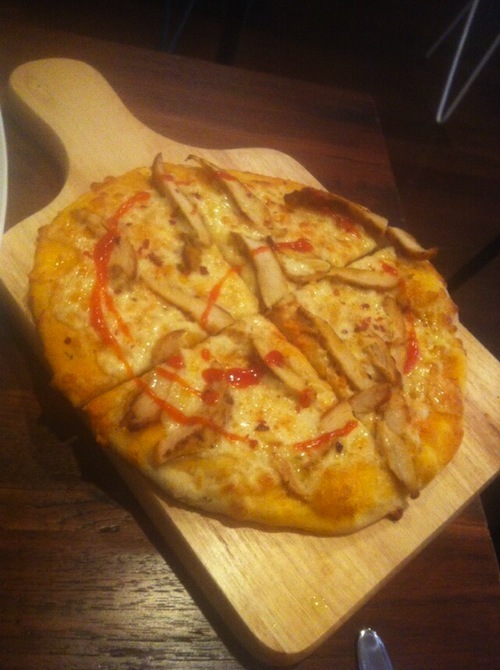 Next we were served the butter chicken & red chili naan pizza, chicken wings, and lamb burgers. The butter chicken & red chili naan pizza was very delectable and although a bit too naan heavy, since we have the predisposed notion of how a pizza should taste, this is a bit different, but equally delicious. 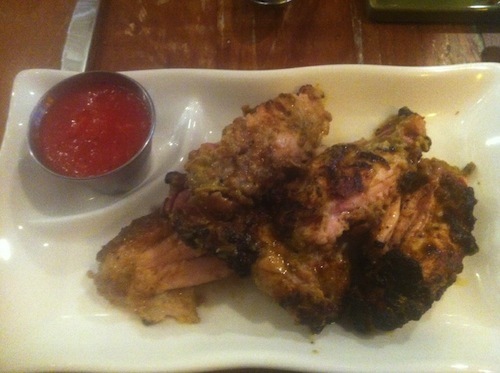 The chicken wings were the best chili wings cooked in tandoor that I’ve ever had. The meat just falls off the bones, and the flavor is not only superficial, but is in every bite! 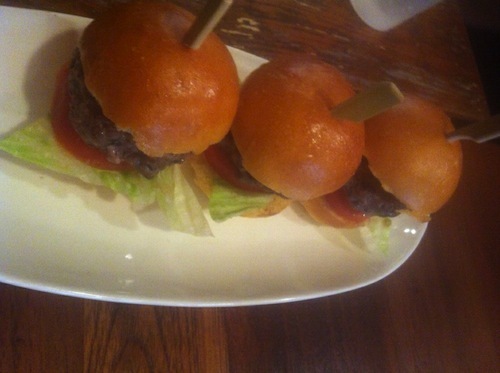 And the cute little lamb burger sliders were very well cooked and had so much flavor. It did not come with a sauce, so we used one of the other sauces that were provided with the other dishes, which added to the flavor. One great thing about Matt & Meera is that they have a great selection of sauces to pair with the food, each one innovative and fusion of different flavors from hot red chili to mild mustard aioli. 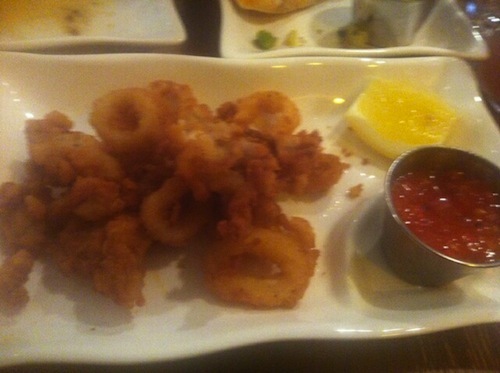 We were almost done with the meal, when we kept eyeing Matt’s Calamari served with mustard tomato chutney. It was a little heavy on the panko coating, but overall topped off the meal. We were so full, we didn’t get a chance to taste the dessert shooters, but that’s next on the list, in addition to the “Naan” Chos! Would I go back? : Yes — this is my new go-to place when I am in the area. I would love to try the rest of the menu! I always say it’s not easy to write about skincare products because everyone has such different skin and concerns. But these products are serious superstars and have a significant fruit-infused ingredients to help with its antioxidant (read: anti-aging) benefits. 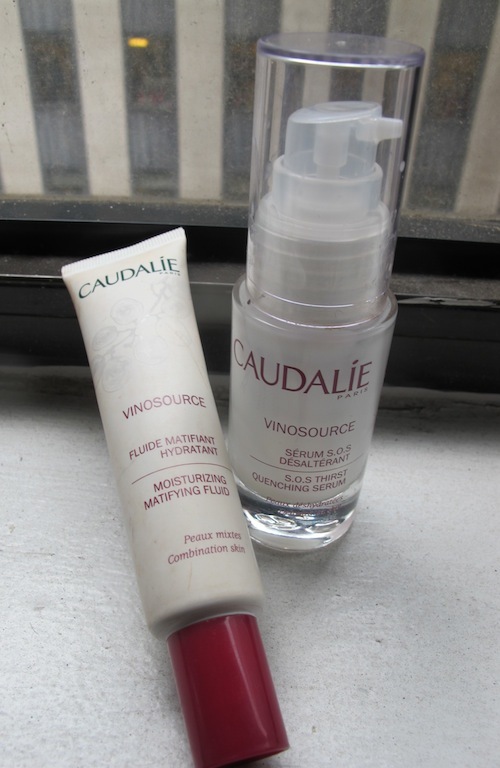 The first couple that blew me away are from Caudalie’s newest collection, Vinosource. I’m always a little nervous to try something new, but creator Mathilde Thomas kept the dehydrated/sensi-skinned people in mind. There are no parabens, sulfates, synthetic dyes, irritating triclosan, petrochemicals…you get it. Their S.O.S. Thirst-Quenching Serum loaded with antioxidant grape water (which increases hydration by 127%) and grape seed polyphenols to keep skin supple by blocking 100% of free radicals (plus they’re 10000x more effective than Vitamin E…yup). Use it with their Quenching Sorbet-Crème which also has polyphenols and soothing chamomile. I swear, I noticed a difference the very next day. My skin was soft, brighter, and the two products worked consistently well. And it was surprising since the texture for both products are so light and non-offensive. The serum is not sticky or gross which I normally associate potent serums with, and the sorbet goes on like butter. I just haven’t gone wrong with the power pair, and going back for more soon! NOTE: If you purchase ANY Vinosource products off of Caudalie’s website, you’ll get a free Parisian-inspired tote bag while supplies last. Trust me, they are soooo cute! While I can easily recommend Caudalie to anyone and everyone who wants to hit the reset button, I get that it can be a little steep on the price-end. 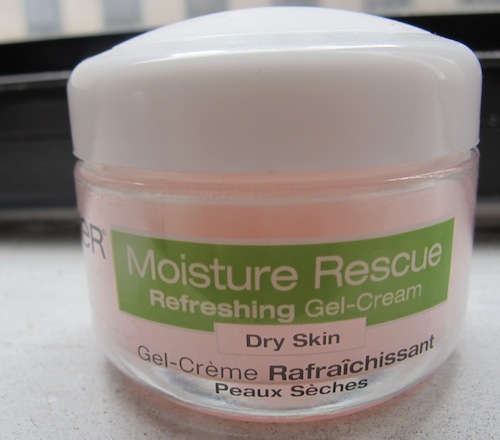 Drugstore solution: Garnier Moisture Rescue Refreshing Gel-Creme for Dry Skin. This is so new, it’s scheduled to hit shelves next month! It’s similar to the original, green-colored gel-creme, but this new pink one has 2x more moisture. It’s light and oil-free and also contains grape water extract along with apple water extract (which has vitamin C to maintain the skin’s moisture barrier and prevent dryness). It contains vitamin E (not grape seed polyphenols like Caudalie’s) which is great as a natural emollient though not quite as powerful. But for the price ($6! ), you really can’t beat it for a quality mass product. It smoothes out my skin and is an amazing pre-makeup base. I’m really finding that these fruit water moisturizers are the way to go. What moisturizers are you using lately? Anyone think they’ll try these? 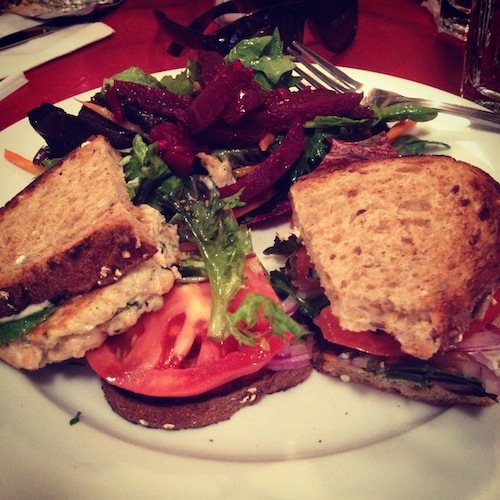 If you need to take a quick vacation, but you only have a lunch break to spare…then Café Mogador, located in the East Village, is the spot for you. When I walked into the Moroccan restaurant, I was drawn to the authentic design of the place. A quaint terrace, rustic wall treatments, and tiled mosaics all work to give the place a certain je ne se quois. On the inside, the restaurant feels very airy and breathable, despite being fairly busy during lunchtime. I’ve found that I’ve grown bored with the fashion in which seafood is typically served at many New York restaurants. You can only eat grilled salmon over caesar salad or a fillet doused in lemon dressing so many times. I wanted to find a seafood entrée that was refreshing and scrumptious. I think I’ve found this in the Sautéed Salmon Crab Cake sandwich. Despite offering an array of authentic Moroccan and Mediterranean items, the menu at Café Mogador remains friendly to those who might not be so experimental with cuisines. I was looking for seafood, but I was definitely conflicted before ordering because all the lunch sandwiches sounded so delicious! After I had narrowed my selection down to three sandwiches, my server helped me choose the crab cake over the grilled feta panini press and the signature Mogador burger. It tasted fantastic. From the second that I bit into this sandwich, it must have taken me a quick five minutes to finish off the whole thing. 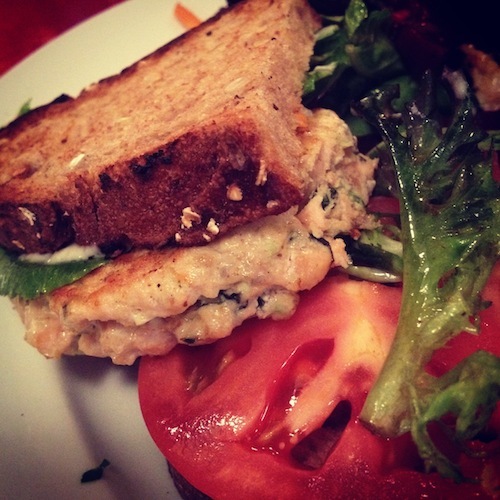 The onions and tomatoes complemented the salmon cake very nicely, but it was the horseradish mayonnaise that took this sandwich to another level. It is a great option for those who might be a pescatarian diet, but would definitely taste just as good to all the meat lovers out there! [Read about brunch at Cafe Mogador here — if you haven’t been, you should change that!]. GIVEAWAY: Fibi & Clo new flats and shoe clip! Winner will be announced next week..good luck! BATF Giveaways - FOOD - "The Delicious"
Congratulations to Charlene Ross and Brittany H for winning this week’s $150 prize pack from Simply!! Please send me your shipping address over to beautyandthefeastblog@gmail.com. Thanks to all for entering! Stayed tuned for the next giveaway today!